Usually we use MP3 and MP4 audio and video format for the multimedia files. These two formats are very well-known and popular among music lovers. 3GP format is also used in the mobile devices to play the multimedia files in small screen. This format is also supported by the Android devices but the video and audio quality of this format is not up to the mark. In that case if you are looking for a 3gp to MP3 converter software or website then you can get to know about that in this article. KeepVid Video Converter is another 3gp to MP3 converter which can convert your files on your desktop by installing the program in your system. This software is available for Mac and windows both operating system and mostly all available version of Mac and windows. This software can handle lot of things together related to multimedia files which you can read below in the features. It enables you to convert videos to more than 1000 formats with one click on your system directly. Convert online videos from more than 10000 sites and save them on your computer. You can download online videos on your computer from any video site. It also allows you to edit the videos as per your need to personalize them. KeepVid 3GP to MP3 converter software is very easy to use and can be handled by anyone. Step 2. 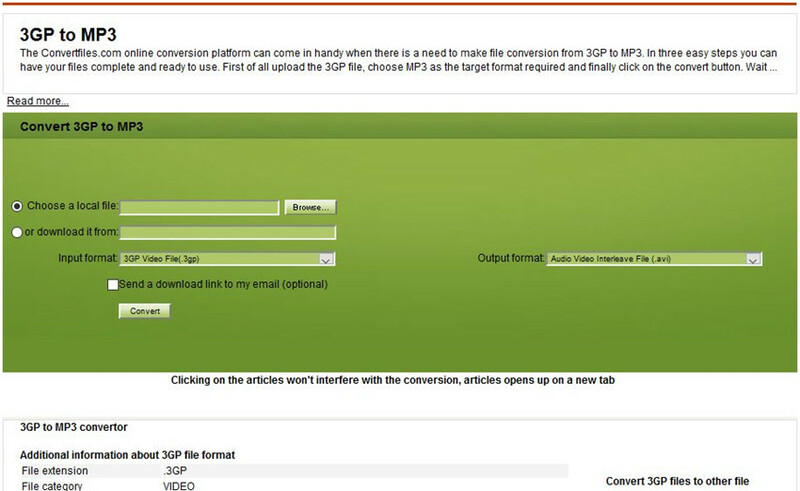 Select MP3 as an output, and click the Convert button to start converting 3GP to MP3. Launch the converter program after downloading it from the official site and in the “Convert Tab” add the files which you like to convert. Click the “Add Files” button and choose files from the system. After finding the right file click on “Open” button. After adding file to convert just look at the right side of program and click on the top right corner in next to “Convert All Files To”. Choose the MP3 as output format from the list of options. 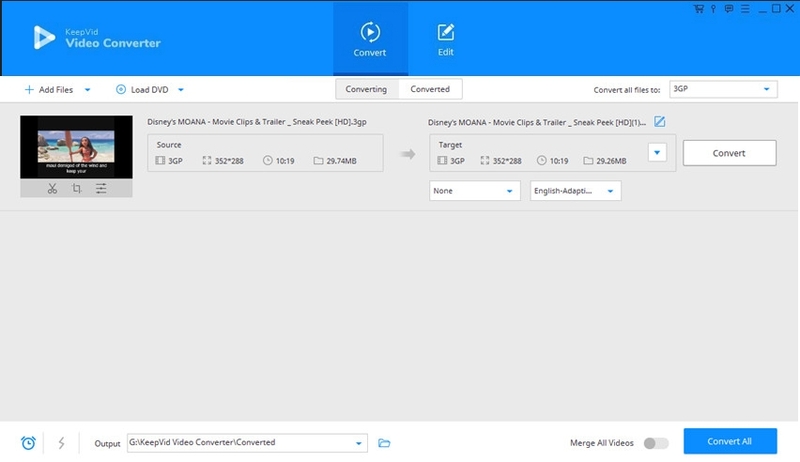 Now click on “Convert All” at the bottom right side of the interface, and KeepVid Video Converter will start converting 3GP to MP3 immediately. When the conversion finishes, you'll get the converted file in Finished tab. • If you have more than one video to convert in other format then the best thing is choose them together and convert in batch to save your time. • Always convert your videos in the format which is most common and compatible with mostly all devices so you won’t face video compatibility issue. 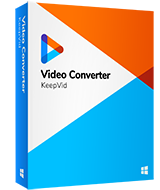 • With KeepVid Video Converter you can also download the online videos and then convert them in the MP3 format to play online video in the high quality audio format. • Now if you want to know how to convert MP3 to 3GP, you can check out the tutorial about the 2 ways to get the work done. There are several helpful online video converter websites that can help you to convert 3GP to MP3 format with easy process. This part will introduce two of them. KeepVid Online Converter website is a very powerful online video converter where you can upload your files from the computer and convert them in the desired format. This website allows you to convert your audio and videos to nearly 50 formats for free of cost. It enables you to convert the files in batch so you are not limited to convert one file at a time. Convert Files is another online video converter platform website which allows you to convert the videos in multiple formats but with more features. This 3gp to mp3 converter online website can also convert videos from online websites by entering URL or you can convert document, EBook, images and other types of files as well. You can find all kinds of video converter programs for Windows and Mac computers on the Internet, and they can help you to convert 3GP to MP3 files with easy steps. In this part, we're going to introduce you the most helpful 2 desktop converters to help you convert 3GP to MP3 files. 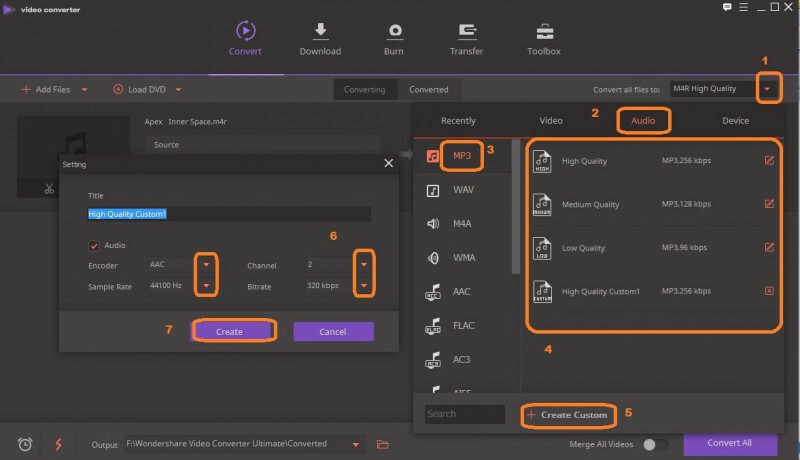 Wondershare Video Converter ultimate is awesome software which helps you to convert the videos very quickly from any video format to other video or audio format. This software is available there for Mac and windows operating system. This is completely available for free to download and install to test the software on your system. 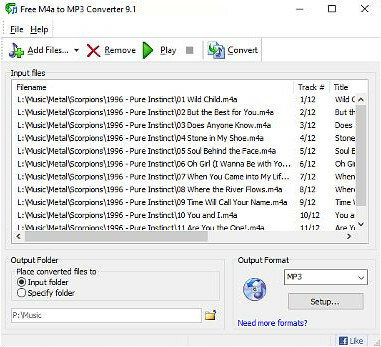 Free m4a to MP3 converter program can also convert 3gp to MP3 format on your desktop. This program is available only for the Windows operating system to convert files. It supports many other audio video formats such as m4a, MP4, AAC etc. This program can convert your files as per your need but not easy to use as KeepVid Video Converter.